Glenn Ford has been freed from the notorious Angola prison in Louisiana having lived under the shadow of the death sentence for 30 years. He becomes one of the longest-serving death row inmates in US history to be exonerated. Ford was released on the order of a judge in Shreveport after Louisiana state prosecutors indicated they could no longer stand by his conviction. In late 2013 the state notified Ford’s lawyers that a confidential informant had come forward with new information implicating another man who had been among four co-defendants originally charged in the case. He was sentenced to death in 1984 for the murder the previous November of Isadore Rozeman, an older white man who ran a Shreveport jewellery and watch repair shop. The defendant had worked as an odd jobs man for Rozeman. In interviews with police Ford said that he had been asked to pawn a .38 revolver and some jewellery similar to that taken from Rozeman’s shop at the time of the murder by another man who was among the initial suspects. Ford said he did harbour some resentment at being wrongly jailed: “Yeah, cause I’ve been locked up almost 30 years for something I didn’t do. Ford’s conviction bears all the hallmarks of the glaring inconsistencies and inadequacies of the US justice system that are repeatedly found in cases of exoneration. The fact that despite serious qualms among top judges about his conviction this innocent man was kept on death row for so long is certain to be seized upon by anti-death penalty campaigners. Among the many all too typical problems with his prosecution was the composition of the jury. An African American, Ford was sentenced to death by a jury that had been carefully selected by prosecutors to be exclusively white. His legal representation at trial was woefully inexperienced. The lead defense counsel was a specialist in the law relating to oil and gas exploration and had never tried a case in front of a jury; the second attorney was two years out of law school and working at the time of the trial on small automobile accident insurance cases. At the trial the state was unable to call any eyewitnesses to the crime, nor was it able to produce a murder weapon. Instead Ford was convicted largely on the testimony of a witness who was not a detached observer – she was the girlfriend of another man initially suspected of the murder. Under cross-examination the witness, Marvella Brown, admitted in front of the jury that she had given false testimony. “I did lie to the court… I lied about it all,” she said. In another classic element frequently found in exoneration cases, cod science provided by “expert” witnesses also helped to put Ford on death row. One such expert testified that the evidence pointed to the defendant because he was left-handed; another expert told the jury that particles of gunshot residue had been found on his hand; and a third talked about fingerprint evidence implicating him. The testimony from all three expert witnesses was later shown to have been at best inconclusive, at worst wrong. Ford continued to profess his innocence throughout the 30 years. In the appeal process that ensued, the Louisiana supreme court, the state’s highest legal panel, acknowledged that the evidence against him was “not overwhelming” and that the prosecution case was open to “serious questions”, yet it decided to keep him on death row. More recently it emerged that state prosecutors had failed to disclose evidence to Ford’s legal team that could have been crucial in his defense. It included evidence from confidential informants pointing the finger at Ford’s co-defendants, who faced initial charges that were then dismissed as the prosecution bore down against the wrong man. Ford becomes the 144th death row inmate to be exonerated over the past four decades, underlining the perils of innocent people being sent to their deaths in America’s capital punishment system. Yet despite such warning, several states such as Alabama, California, Florida and Missouri have taken recent steps to speed up the process of executions and whittle down the recourse to appeals in a way that had such expedition applied in Ford’s case would already have seen him put to death. Ford will now go through the long process of trying to rebuild his life on the outside. Under Louisiana law he can apply for compensation of up to $25,000 for each year lost to detention, but only up to a ceiling of $250,000. As for the Isadore Rozeman case, it has now officially reverted to the status of an unsolved homicide. The local district attorney’s office said that an investigation is under way into “certain individuals” suspected of having been involved in the murder. The law firm of Anderson and LeBlanc was helpfull and not too expensive. Mr. LeBlanc took my case and solve it, I was happy with the result. I'd recommend mr.Jeff LeBlanc. Richard Anderson knew my husband had no knowledge of matters involving a lawsuit filed by his cousin. He accused him of fraud and conversion of funds. My husband wasn't even residing in CA and hadn't been for 2 years. After another 2 years, it was dismissed against my husband and another party because he knew they weren't involved and he had no evidence of the allegations. This after spending hundreds of dollars. I would never recommend this attorney to anyone. 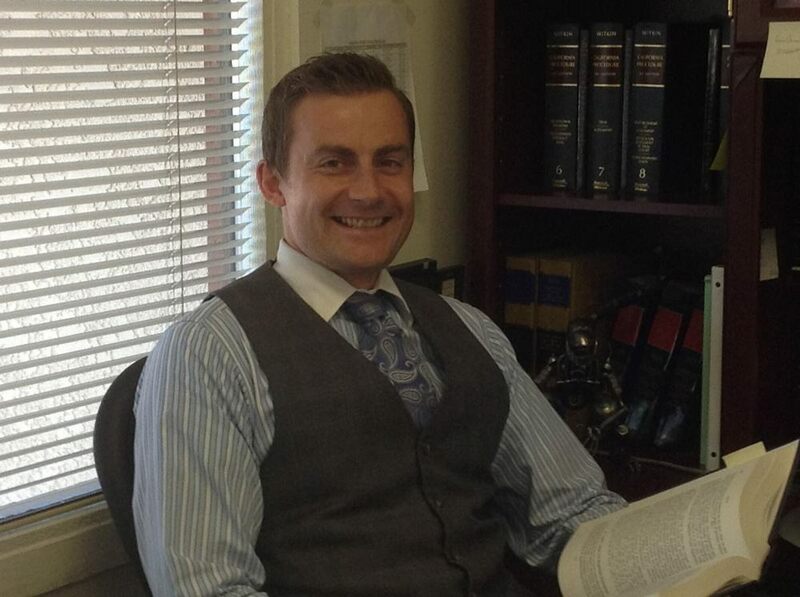 Jeff LeBlanc is an experienced attorney that can handle your situation at a reasonable price. I had a contract dispute that Mr. LeBlanc handled with perfect results. I recovered all the money I was owed and he did it quickly. I'd recommend Jeff LeBlanc to anyone that needs an attorney. Sometime ago I contracted with a California company to provide service to my Oregon business. After having paid them for service and never receiving it in the end I filed a lawsuit against them in Oregon and was awarded a Judgment. Needing to have this registered in California a friend in the area recommended the law firm of Anderson LeBlanc to me. I worked with Jeff LeBlanc and he promptly had the Judgment registered in California. The defendants then tried to have my Judgment vacated and used a “shotgun” approach to what they submitted to the Court, claiming I had committed fraud, statutes of limitations had expired, Oregon had no jurisdiction, service was improper, I had never asked for a refund, and much more. They also threatened action against myself and Jeff. To counter this barrage of claims Jeff invested substantial time and effort into a comprehensive response. The Court ruled in our favor, stating that he had provided “compelling” arguments why the Judgment should not be vacated. I would recommend Jeff and the firm of Anderson LeBlanc to anyone needing and attorney. Jeff's knowledge and understanding of the law saved us months of red tape and expense. His professionalism and expedient action made it possible to receive all money due us which was being held because of legal technicalities. I found out about Mr. Leblanc as a referral. I was having issues with a neighbor that was yelling and throwing items over the fence dividing our property. He even went as far as going to my job in an attempt to have me fired. Mr. Leblanc was very helpful, understanding and knowledgable. After years of dealing with this he was able to fix the situation in a matter of weeks. I am happy to say that I have had no further issues with the neighbor. I would recommend Mr. Leblanc without hesitation. Copyright 2018 - Anderson LeBlanc Attorneys. All Rights Reserved.